Chances are, when you came to Las Vegas you didn't expect to be hit with so many different cultures. Each of the classic Sin City resorts is modeled after a popular world city, such as the Paris, unsurprisingly named after France's capital city. The Bellagio is home to some Italian decor while Caesar's Palace plays host to great Roman touches. 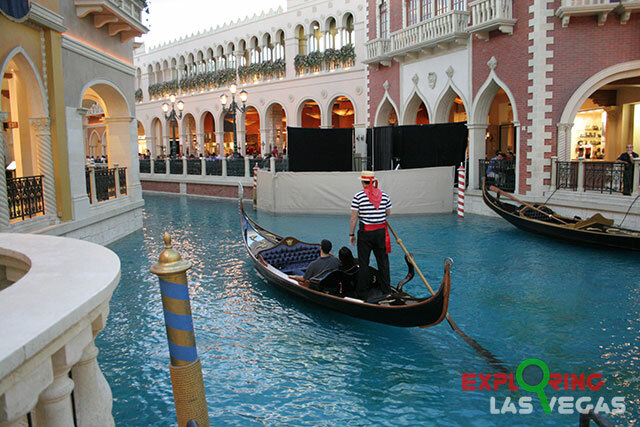 The Venetian is probably best known for recreating the streets of Venice beneath its massive casino floor. The cobblestone pathway, ambient architecture, and sporadic street entertainers really transport you to the gorgeous city; but it's the canal that funnels throughout the Grand Canal Shoppes that really makes you feel like you've left the desert. If you stand by and watch the canal for a short period of time, you're going to be treated to one of the most pleasant experiences to be found on the Strip. A gondola will float on by, inhabited by some passengers and a gondolier dressed in an adorable white and black striped shirt and brimmed hat. At first, it looks like nothing more than a quiet ride through the Grand Canal Shoppes. That is, of course, until the gondolier bursts out into song. As the gondola moves through the curves of the shoppes, the gondolier will entertain his or her passengers with songs straight from Venice. It's clear that one qualification to be a Venetian gondolier is the ability to sing, because the voices that boom from these very public rides are nothing short of impressive. You could be on the other end of the shoppes and still hear one of the beautifully sung songs echoing throughout. 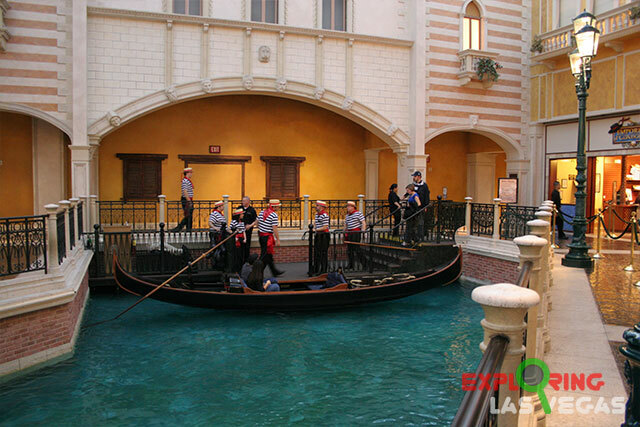 The canal gondola ride will take you through the length of the Grand Canal Shoppes, outside to the main entrance of the Venetian, where you'll get a pretty view of the Strip and the gorgeous entrance to the resort itself before circling back to where everything started. It may be a completely public ride, where shoppers and gawkers can watch as you enjoy the intimate setting of your private gondola, but it's hard not to get lost in the beauty and class of the entire experience. Experience the Grand Canal Shoppes in the best way that you can with a lengthy gondola ride through the inner belly of the Venetian. You'll get sucked into the atmosphere so much that there's a chance you'll forget you were in Vegas the entire time. For the time of the ride is so relaxing. It does give you the feel you are actually in Venice. Very well done. We plan on going again this May 2011. Thanks!